Today, we’ll be taking a quick look at the ZOTAC Gaming GeForce GTX 1660 Ti AMP edition, which uses the latest GPU from Nvidia, the GeForce GTX 1660 Ti featuring Nvidia’s Turing architecture (used on their RTX series), but lacks the essential Tenor and RT cores for ray-tracing. The AMP edition features an overclocked GPU running at boost speed of 1860 MHz (default is 1500 MHz). It also comes with a total of 1536 CUDA cores and 6GB GDDR6 ram, with a memory speed of 12 Gbps on a 192-bit memory bus. We already reviewed the MSI GeForce GTX 1660 Ti ARMOR OC, which we thought was pretty decent and offered extremely good performance considering the price. If you don’t need ray-tracing, but want a graphics card that can offer good performance, then the GTX 1660 Ti could be the answer. Let’s find out if the ZOTAC Gaming GeForce GTX 1660 Ti AMP edition, with its overclocked GPU can make it to the top of the rankings amongst other GTX 1660 Ti’s. 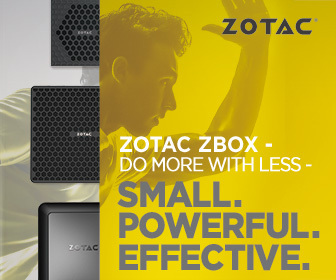 ZOTAC Gaming is known for its compact size of their mainstream graphics card, which what makes them really appealing to a lot of gamers. Their mainstream models (and this is one of them) will fit in 99% of all cases out there. We’ll be installing the ZOTAC Gaming GeForce GTX 1660 Ti AMP edition in to our test rig, which will be comprised of an Intel Core i7-8700K processor, ASRock Z390 Taichi motherboard, along with 16GB of GEIL Super Luce DDR4-3600 ram. I’m expecting some decent performance from this card, especially when you have an overclocked GPU with boost speed of 1860 MHz. So step aside GTX 1070! lol! OK, enough with the talk … let’s see how this card will perform against the MSI GTX 1660Ti and other GeForce cards that we’ve tested already.